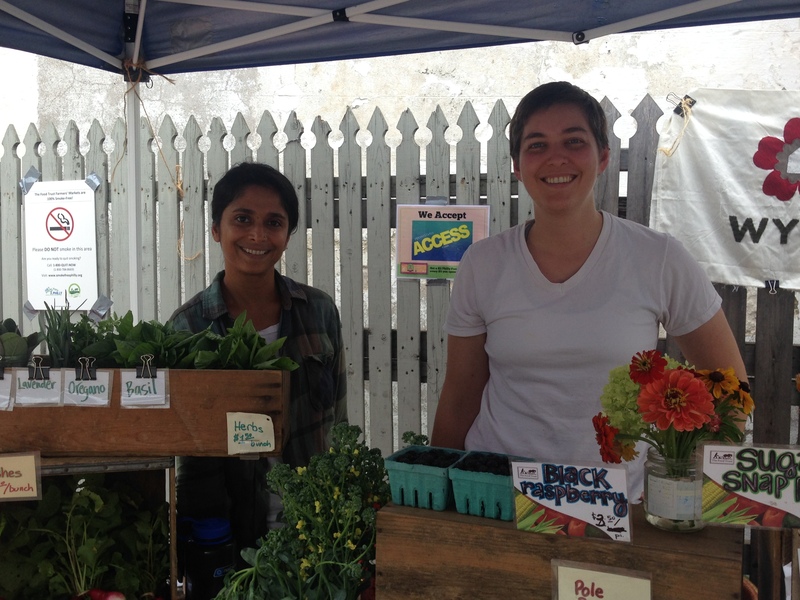 A few years have past since I was a part of the Wyck House Farmer’s Market and last Friday, I returned to Wyck to meet the new farmer, Krippa and her team and of course check out the latest fresh produce the 19144 neighborhood has to offer. No more than 5 minutes away, Wyck House gives us the best of the best. Our favorite is the juiciest and sweetest black raspberries, which never stand a chance of making it home. The only evidence of their existence is left on our magenta stained fingers and lips. 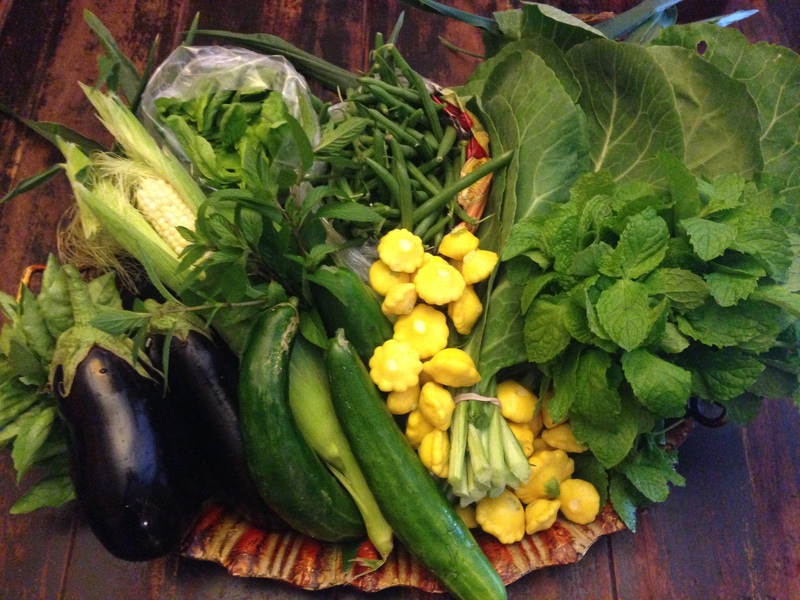 Included in the beautiful bounty that did make it home are collard greens, arugula, string beans, corn, pattypan squash, eggplant, mint, chocolate mint, basil and blueberries. The pattypan was prepared and cooked by my 10 year old daughter faster than I could capture. She stuffed them and roasted them lightly with olive oil, peppers, onions, garlic and mushrooms. Delish! 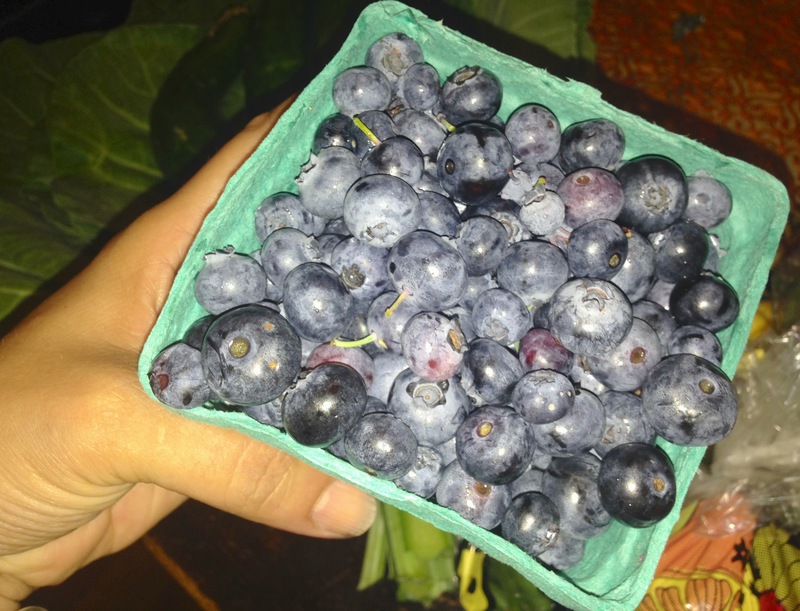 The blueberries… (along with other sweet companions) found their way into the Nutribullet and the chocolate mint quickly became part of one of our favorite herbal summer tonics/drink made with hibiscus, cinnamon, lemon and ginger. So refreshing! So far so good, here’s the best of what we created with our local produce thus far. 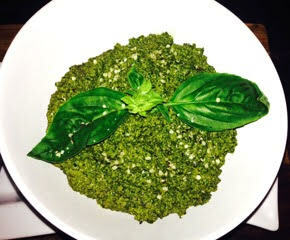 Our GTown Basil Arugula Hemp Pesto! All it took was a bunch of basil, a small ziplock bag of arugula, a few cloves of garlic, a handful of raw hemp seeds, a drizzle of olive oil and pinch of salt. All put in the food processor for tasty dipping, spreading or tossing. Tonight we’re planning on collard greens, corn, okra and tomatoes. Stay tuned for pictures.